Doctorate student Ms. Eun Young Yeom, left, and Dr. Patricia Kennon. 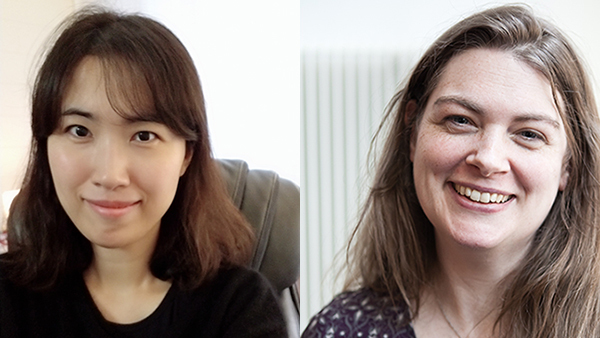 This spring, the Arne Nixon Center for the Study of Children’s Literature hosts two research fellows: doctorate student Ms. Eun Young Yeom from Georgia University, and Dr. Patricia Kennon from the University of Maynooth, Ireland. Ms. Yeom’s research seeks to shed light on the silenced aspects of Korean immigrant families as portrayed in multicultural picture books while Dr. Kennon’s research proposal is titled “Asexuality, Difference and Heteronormativity in Youth Literature." Both fellows will use the Arne Nixon Center’s unique and diverse collection in the Henry Madden Library to further their research. Dr. Kennon will give a lunchtime presentation on her research at noon Thursday, April 25 in the Henry Madden Library, Room 2206. The first 50 people to RSVP will receive a free lunch. Click here to RSVP. For more information, call 559.278.8116.